Taupo is situated in the centre of the North Island and has a population of circa 24.100. It is an area of geothermal and volcanic activity and has hot springs that are suitable for bathing. Taupo is a great destination for nature lovers and offers a variety of outdoors activities such as river rafting and skydiving. 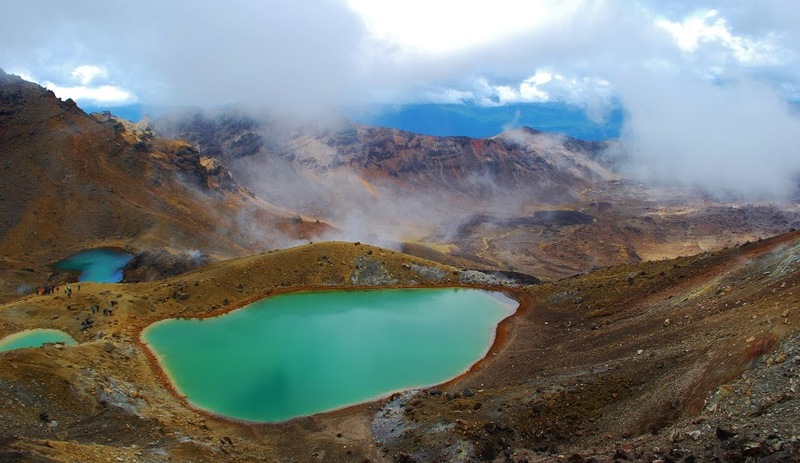 If you come to Taupo as a demi pair with Au Pair New Zealand, you will be right at the base of the Tongariro National Park, where you can do the Tongariro Crossing – a must do for anyone visiting our beautiful country! You will be studying at a high quality language school with well-qualified staff that is experienced and caring and there is a supportive ‘family’ atmosphere. You will study part time (Working Holiday Visa holders) or full time (Student Visa holders) and can choose between General English, FCE and IELTS. It is possible to study 12, 14, 24 or 36 weeks. Afternoon classes run from 1.15 pm until 3.25 pm. You can start any Monday of the academic year for General English. IELTS courses start every first Monday of the month and the closest testing centres are Hawkes Bay, Rotorua, Hamilton, Tauranga and Auckland. Special intake dates for the Cambridge FCE exam preparation apply. The examination centre is Auckland and the listening interview can be sat the day before the exam for out of town students.The school can assist with enrolment in exams. Contact us for more information about the dates. You are required to bring your passport, a copy of your visa and your health & travel insurance on your first day at school. The orientation day is a one day familiarisation day where all practicalities will be taken care off and where you get to know Taupo and the school. Between 8.45 am and 9.45 am: you will get help with your enrolment, receive your student ID, get a tour of the school, do a placement test (ca. 40 mins. ), receive info on how to open a bank account and obtain a NZ a sim card. Between 10.45 am and 12.00pm: you will get a tour of Taupo or start your class and meet your student counsellor, who will assist you with any questions you may have today. Between 12.15 pm and 1.15 pm: you are free for lunch. — This schedule is indicative and might vary slightly.